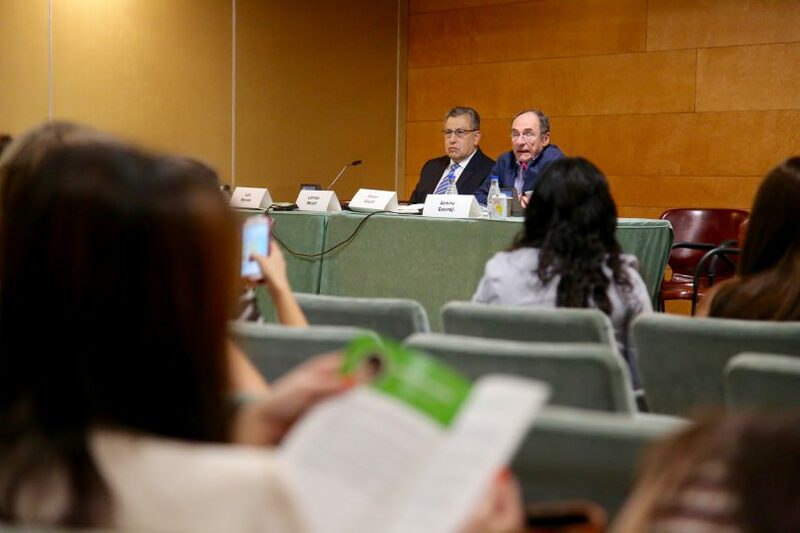 The 17th International Congress of Dietetics took place in the city of Granada (Spain) and hosted more than 3.000 dietitians and nutritionists from all over the world. The central theme of ICD 2016 was ‘going to sustainable eating’. In this framework, YINI organized a workshop entitled “Are we underestimating the health effects of yogurt?” More than one hundred people attended the symposium. Thank you to all of you! In case you missed it, here is a digest for a quick reading. Prof Lorenzo Morelli (Italy) reminded us how yogurt can benefit lactose maldigesters. Prof Luis Moreno (Spain) explained how recent studies reveal that yogurt consumption may be the signature of a healthy diet and lifestyle. Azmina Govindji, RD (UK) illustrated how simple yogurt swaps can improve nutrition and help saving calories and getting more nutrients. Finally, Prof Adam Drewnowski (USA) unveiled how yogurt can be considered as a sustainable choice. Nowadays, lactose intolerance is often reported, but frequently as a consequence of an auto-diagnosis and with some collateral effects such as total dairy avoidance. However, this is not justified since studies have shown that, on one hand, a small dose of lactose can be tolerated (12g/day), even by maldigesters. And on the other hand, some cheeses contain almost no lactose at all (hard cheese by example) and yogurt, more specifically, can help to solve the genetically programmed decrease in lactase synthesis, after weaning called primary lactase deficiency. Indeed specific living cultures, present in yogurt, foster its unique effect on lactose digestion. These yogurt bacteria, namely Streptococcus thermophilus and Lactobacillus Bulgaricus, exhibit high levels of lactase activity, despite their low viability in intestinal tract. Yogurt bacteria may pass through our stomach into the small intestine, where they help to break down lactose. This ability exists, if yogurt bacteria are viable at the moment of ingestion, thanks to their specific uptake system. By the way, the lactose hydrolyzing ability of yogurt bacteria has been successfully recognized in Europe by one of the rare a European Food Safety Authority (EFSA) Claims on a food. This presentation was a comprehensive overview of the scientific data, available on the association between yogurt consumption and diet quality & lifestyle. Recent key findings from cohort studies, carried out in North & South America and Europe (1-9), tend to show that yogurt consumption is associated with specific healthier eating pattern and lifestyle. Frequent yogurt consumers have a greater intake in key nutrients (calcium, magnesium, vitamin B12, D and protein), compared to non-consumers. This pattern is observed in both children and adults. Yogurt consumers have also a better diet quality: they consume more fruit, whole grains, and milk and less processed foods, indicating a better compliance to the dietary guidelines. Besides, yogurt consumption seems to be a good marker of some healthy behaviors, such as reduced smoking and a more active lifestyle. New data coming from European studies in children and adolescents unveiled that frequent yogurt consumers are more active and less sedentary. This comprehensive review confirms that yogurt consumption might represent a global signature of a healthy diet and lifestyle at all ages. Yogurt may also provide an increased portion size within the same calorie content. Because it is packed with meaningful nutrients, yogurt can be a potentially satisfying option to get more nutrients, on a daily basis. Govindji concludes that yogurt is more than a snack but a versatile food, which may provide nourishing swaps throughout the day and is a marker of diet quality. In the coming days, you will find the slides and charts from this presentation on our website. But if you are curious to find out more, check out now a new infographic from the YINI Editorial team: Healthy swaps with yogurt! According to Adam Drewnowski, low carbon footprint is of little use, when the food has minimal nutritional value. Sustainable foods need to be affordable, acceptable and nutrient rich. What about yogurt? New metrics of affordable nutrition have confirmed that yogurts and dairy products are the lowest-cost source of dietary calcium and a very affordable source of high quality protein. Is the yogurt carbon footprint not too big? The debate is not new, but must be qualified, Drewnowski says. On one hand, animal products including dairy have a higher carbon footprint per calorie than grains, oils, and sweets do. On the other hand, they have a higher nutrient density per calorie as well. This is not the case for sugar, the plant food with the lowest land, water and carbon footprint… But today, the WHO is encouraging people to consume less than 5% of their total daily calories from sugars. This is why the definition of sustainable foods, according to Pr Drewnowski, has to include nutritional value and impact on populations’ health. All presentations and reports from the expert talk sessions will soon be online on our website. The intervention of Adam Drewnowski was filmed and broadcasted live during the event. This video will soon be available on our website. Stay tuned! Wang H. et al., Nutr Res., 2013 Jan; 33(1): 18-26. Keast D.R. et al., Nutrients, 2015, 7, 1577-1593.